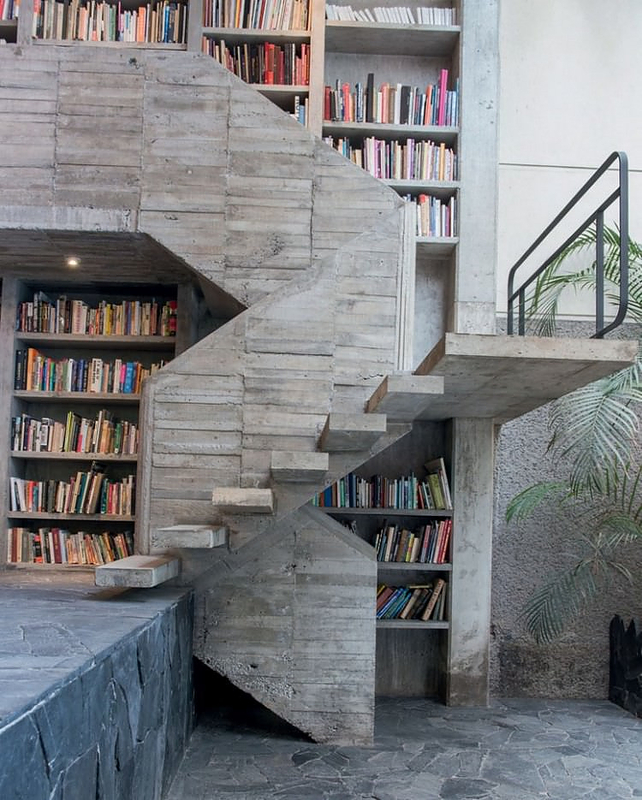 Mexico City House by Pedro Reyes and Carla Fernandez. 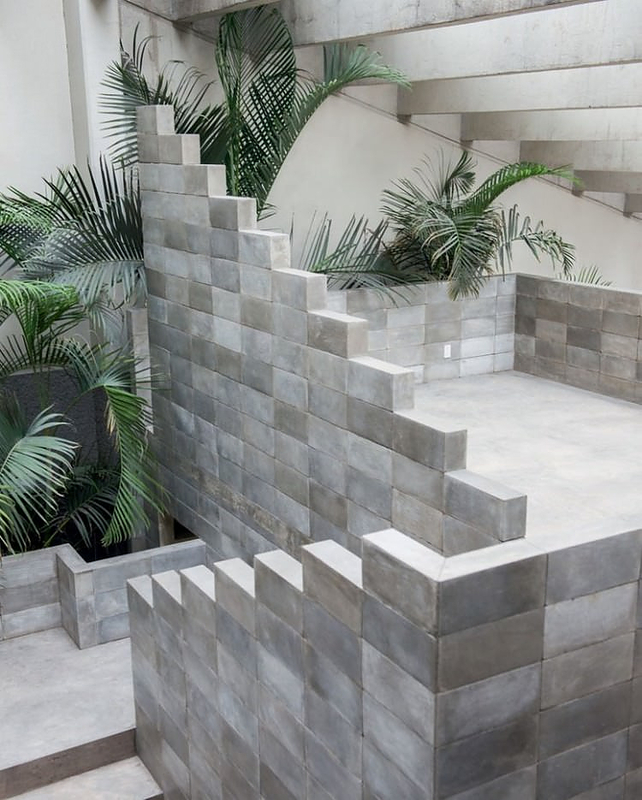 HomeBlogArchitectureBrutalist beauty: Mexico City House by Pedro Reyes and Carla Fernandez. 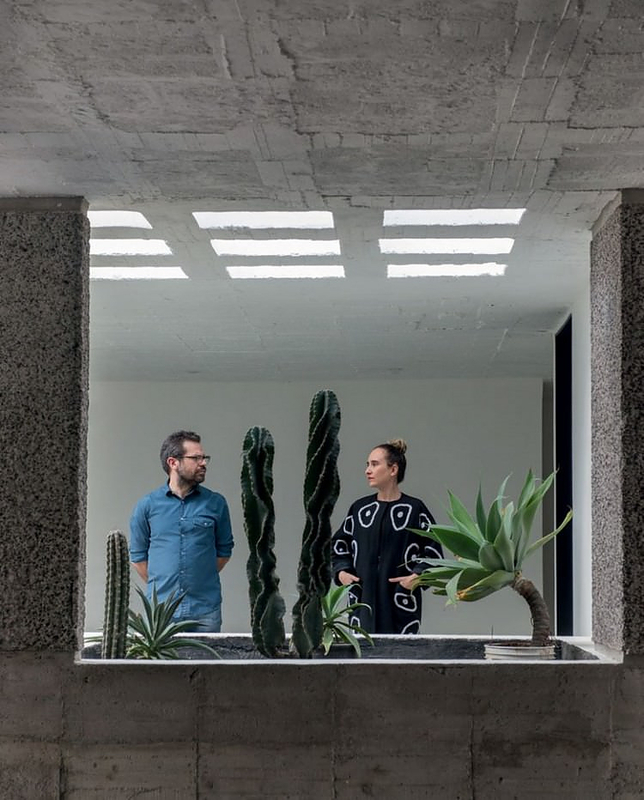 The couple built their beautiful Home in Coyoacán, south of Mexico City, it is a peculiar structure that was envisioned as a dwelling for the caveman of the future. The source of inspiration for the concept are the ruins of a civilization, now extinct, which was more advanced than the one we’re living in now, according to the designers. Hammered concrete walls, chunky furniture from volcanic stone and an abundance of rich, overblown greenery all come together to form an architectural masterpiece. 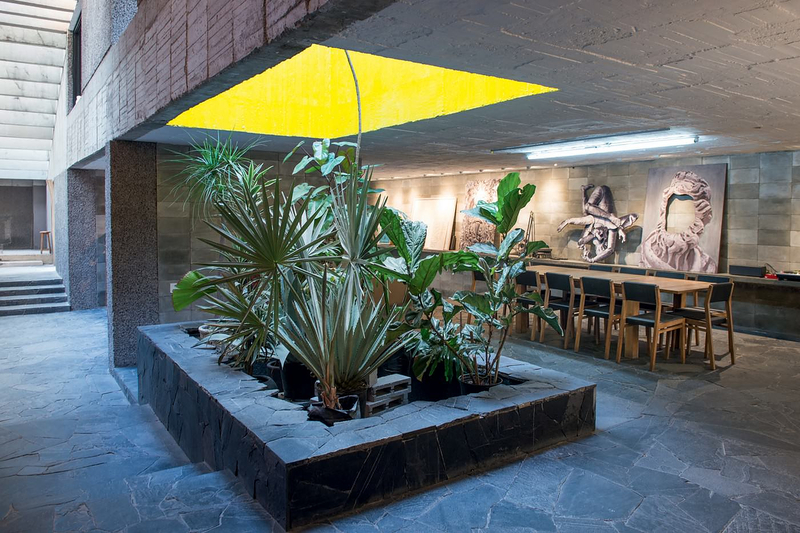 Part of the remarkable stone floor is inspired by the nearby Anahuacalli Museum, the “temple” designed by Rivera in 1957 as a depository for his collection of 60,000 pre-Hispanic artifacts. 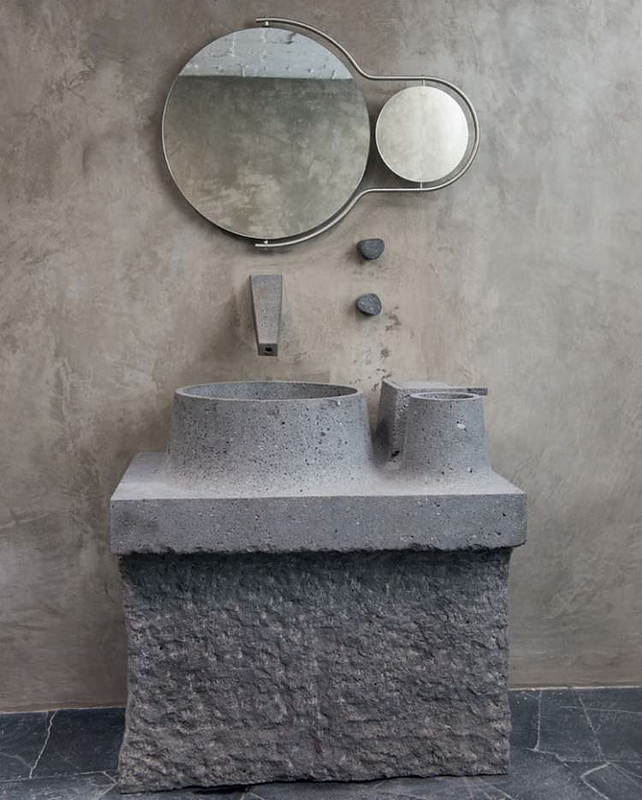 Elsewhere, hammered concrete floors and walls were inspired by the Mexican brutalists, in particular 89-year-old Teodoro González de León, who built many landmarks across the Mexican capital. 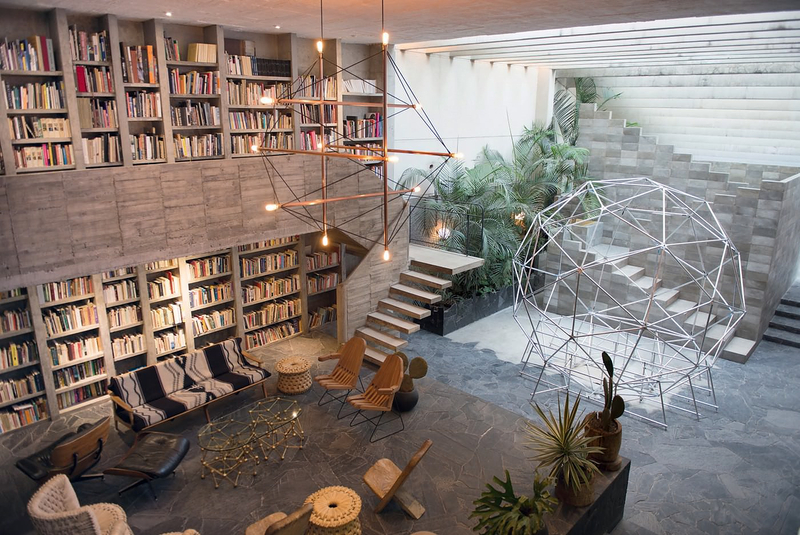 Ancient Aztecs meet The Martian Chronicles in the form of hammered concrete walls, chunky furniture hewn from volcanic stone and an abundance of rich, overblown greenery. A “pyramid” at one end is Carla’s studio, a yard behind it will be Pedro’s. It’s currently a ramshackle plot occupied by the team of artisans that is helping finish the house. 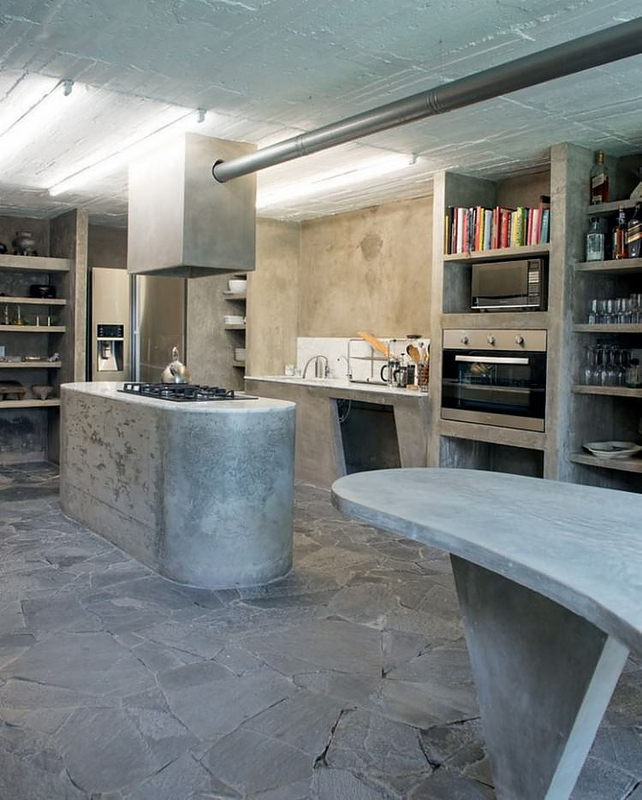 “The use of concrete is very canonical, very clichéd, but it has many possibilities” says Reyes, pointing out the handmade bricks covered with a wax-like concrete paste, which he, and his team, developed specifically for this project. The couple also designed much of the furniture, a series of chunky unusual constructs that are deemed artworks in their own right, while at the same time serving a functional purpose. The lava-stone master bath and basin and the concrete kitchen table are two of the most imposing pieces, but perhaps the centerpiece of the house is a ceiling light, made of copper tubes threaded through electrical wire. The striking ceiling light is inspired by the work of Buckminster Fuller, as is a 4m-high geodesic dome being completed in the living room. 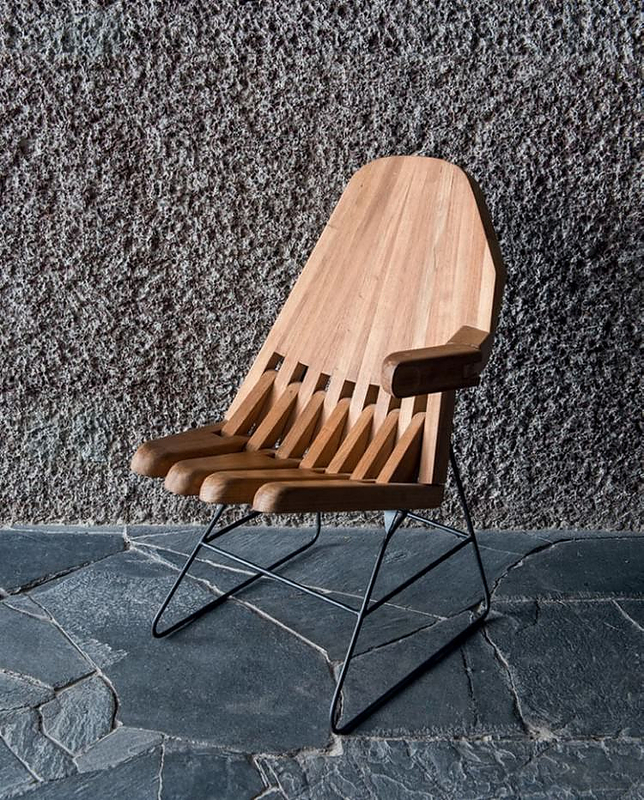 Another distinctive piece of furniture are Reyes’ sign language-inspired “Mano-Sillas” chairs, that appear alongside international and Mexican midcentury classics from the likes of Charles and Ray Eames and Clara Porset, and simple rural pieces such as milking stools, leather butaque chairs and seats woven from palm fronds. “The technique was used by the Aztecs and has been recovered by the design-conscious, but not in any official way” says Reyes. “It would be great to make them on a large scale in other raw materials”. Revisiting ancient indigenous skills and developing a modern Mexican language lies at the heart of Fernández’s work, in particular. Between the master bedroom and the two children’s bedrooms there is space for one of “the best hammocks in Mexico”. These are woven by women from cooperatives in Izamal in Yucatán and Calkiní in Campeche, take two months to make and can sleep a family of four. The multitude of cultural symbolisms are no coincidence. Before becoming an artist, Reyes trained as an architect at the Ibero-American University in Mexico City. 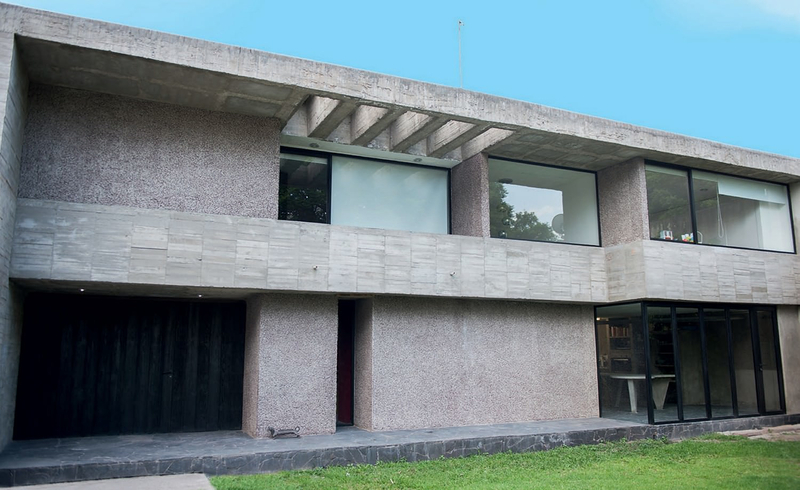 His plan in designing the house was to transform 1.000 square meters of a “1980s monstrosity” into a modern space that includes hints of all of Mexico’s many modern cultural aspects. Enjoy the best parts of this Brutalist Beauty in the gallery below.